江　偉華：“高繰り返しパルスパワー技術の新展開” ，電気学会論文誌，A130(1), pp. 15-19 (2010). 江　偉華：“半導体開放スイッチを用いたパルス高電圧発生器”，電気学会論文誌，A130(6), pp. 538-542 (2010). W. Jiang: “Time-Frequency Analysis of Virtual-Cathode Oscillator”, IEEE Transactions on Plasma Science, 38, #6, 1325-1328 (2010). W. Jiang: “Solid-State LTD Module Using Power MOSFETs”, IEEE Transactions on Plasma Science, 38, #10, 2730-2733 (2010). 江　偉華：“講座　パルスパワー技術入門：２．パルスパワー技術の歴史とその仕組み”、プラズマ・核融合学会誌、87, # 1, 46-50 (2011). 江　偉華、高木浩一：“講座　パルスパワー技術入門：３．パワー半導体デバイスの役割”、プラズマ・核融合学会誌、87, # 2, 106-111 (2011). W. Jiang and A. Tokuchi: "Repetitive Linear Transformer Driver Using Power MOSFETs", IEEE Transactions on Plasma Science, 40, #10, 2625-2628 (2012). 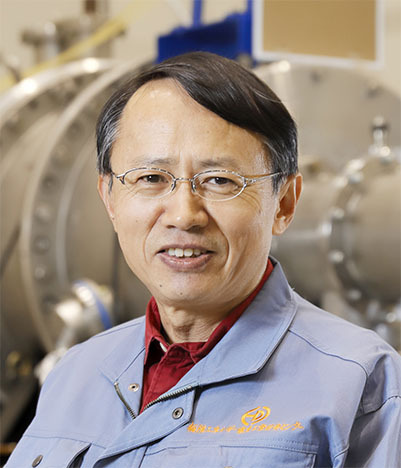 W. Jiang, H. Sugiyama, and A. Tokuchi, “Pulsed Power Generation by Solid-State LTD”, IEEE Transactions on Plasma Science, 42, #11, 3603-3608 (2014). 江　偉華：“負荷（反応器）と電源のインピーダンス整合”、静電気学会誌、39, # 6, 242-245 (2015). Pulsed Power Fundamental Research Award (International Society on Pulsed Power Applications, e.V.) 2012年10月3日.